present here; the images of comprehensiveness and freshness are the distinct features of “Koude Handen”. You can hear piano playing, some synthetic sounds, and well turned imitation of natural processes and phenomena – wind, water flowing, and the whole energetic substance of serenity and nonresistance. In some places, you can observe some resemblance or, better to say, consanguinity with Brian Eno’s “Thursday Afternoon” with its slow, rare piano tints against the background of mild, fragrant drone. This album leaves a delicate aftertaste, and supply of inspiration and energy. 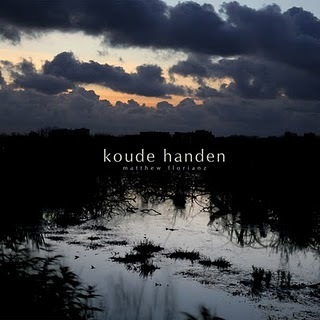 So, interflow your minds with nature together with Matthew Florianz and his “Koude Handen”. This entry was posted in Uncategorized and tagged ambient, Matthew Florianz, self-release. Bookmark the permalink.